Today wound up being a decent writing day. For those keeping score, it came to 1850 new words. My followers are all either writers, readers, or both and I’ve never hidden my author struggles from you guys. I figure if I’m facing some issues, you might be too one day. Maybe something I’ve written will help someone else eventually. Serang and her master entered the Temple of Wind. I managed a cool bit with an eagle chattering away that produced echoes and reverberations galore. I kind of like it, but wish I had more of a fantasy creature to pull this off. 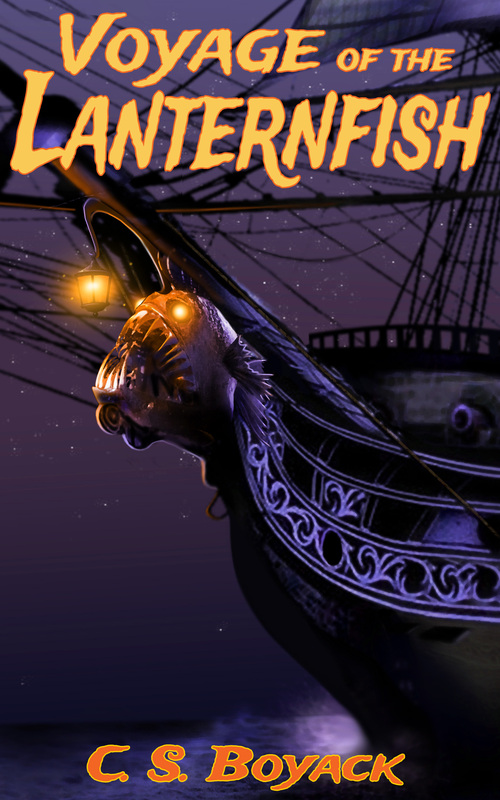 Since this has a tie to Lanternfish, it’s good to pepper it with the occasional fantasy thingmebob. I’ll leave it for now. Maybe something will come to me later. Crossing the desert involved solving a few puzzles to find the path. It was cool. However, getting through the Temple of Wind is also going to involve solving a few puzzles. Okay, as long as they’re different challenges… right? My issue is two-fold. I need to be creative enough to come up with new challenges that aren’t just the same old thing with fresh makeup. I am having some creative doubts. However; there is a third scene I need to write that also involves thinking and feeling Serang’s way through a physical challenge. She has to face this alone, but it is going to be somewhat similar. The intent is they puzzled their way across the desert. The Temple of Wind brings new problems, but together they can do amazing things. Then, when it’s just her she has to bring her lessons to bear and think on her own without an instructor to help her. The risk is that it’s going to become boring by the time the final event occurs. I have three possible solutions and have decided upon one. First option is to write it all out and throw caution to the wind. People will either love it, or not. Second option is to tell a bunch of the Temple of Wind stuff. I believe telling has a place in a story, as long as it doesn’t last very long. It’s my least favorite option. Third option is to shorten up the crossing through the Temple of Wind. This is what I’m going with. It’s because delivering the message that Serang can think and make life or death decisions shouldn’t take multiple chapters. The Temple of Wind is cool. For the sake of the overall story, it needs to be a bit shorter. This doesn’t mean it has to be a fast route. I can tell that two days passed between interesting events, then show those interesting events. As of this writing, I’m still working some of it out, but by morning I should be ready to go again. By using option number three, I have more leeway to make the final obstacle more interesting and might not waste all my tricks before I get there. How about you guys? Did you get to work on your fiction this weekend? Did you read something interesting instead, maybe do some cool research? Let me hear from you. I spent my day working on stuff that didn’t involve new words of fiction. While that is my favorite thing to do, these other tasks have to get done too. I started with two critiques I received on Serang. This was a super long section, and about the time I finished them, the final one showed up in my email. It was perfect. This took me until about noon. Serang is now ready to move forward with new words. I spent a big part of this afternoon researching my next post over at Story Empire, then writing, assembling, and posting it. This is from my living documents, and involves story structure. I’m tackling the writing monomyth, also known as the hero’s journey. It’s going to have to be a series, and that’s fine by me. If it performs well, I may do others of this ilk, like the villain’s journey, fairy tale story structure, etc. Show up over there on Wednesday to let me know how I did. It made for a full day, but I accomplished a lot. My slate is now clear for new fiction. My parents just announced they’re unavailable tomorrow, so I gained Sunday to go along with Monday. With any luck I’ll be making the pixels fly tomorrow. I stayed up late and watched the Diamondbacks game vs the Padres. I don’t expect a lot to cheer about this year, but baseball is funny. It’s one of those games that takes a long time, and it seems like not much happens. When it does, it can be spectacular. Last night was one of those nights. Zack Greinke is an aging superstar pitcher. The fan boards all complain about how we’re paying him too much, etc. I’ve seen it too, the reduction in velocity, but there’s been an adjustment in trickiness. His opening day start against the Dodgers was a disaster. There have been a few of those over the years too. Last night wasn’t one of them. During the off season, Manny Machado landed what was then the biggest contract in baseball history. His record lasted a few days anyway. It was the Padres that gave him the big money. The first inning looked like another sub-par performance for an aging pitcher. I’ve been watching baseball since the 1960s, and I’ve seen it before. Greinke is a professional, and somehow he managed to shake it off. By the time he left the game, he’d struck out ten San Diego Padres. A stellar night by anyone’s standard, but wait there’s more. This is the National League, and they play real baseball here. This means pitchers have to bat just like everyone else. Greinke hit two home runs last night, and the first one had two guys on base ahead of him. While this has happened over the years, it’s a pretty noteworthy event. Bonus, it was Machado who struck out to end the game. Greinke, our starting pitcher, now has more homeruns in Petco Park than Manny Machado who calls it home. Machado is a bad dude all around. His antics in last year’s World Series are pretty memorable. Trying to step on the first baseman’s ankle to injure him, and possibly change the outcome. Failing to run when he hit the ball, because he assumed it was a home run and wanted to showboat. Last night he stepped on our catcher to prevent him from fielding a fly ball, then dropped his bat before the man’s feet intending to trip him so he might drop it. It worked, our guy failed to make the catch. The umpire called him out for interference. It was sweet. So today, I’m not firing on all cylinders. I got up late. My critiques need attention, and it doesn’t look like I’m going to get there today. Do I regret not forging ahead with one of my stories? Not-one-bit, to be honest with you. Last night was worth it. It may be years before I get to see something like that again. I woke up early and added a few more words to my WIP, Serang. It didn’t amount to much. When 8:00 rolled around, I talked to my parents for an hour. Beyond that it was time for a Jimmy Dean breakfast sandwich, with a fresh cup of coffee. I added a few more words after that. All in all, it felt like a thousand new words. Then I quit the new words idea. I needed to reread and make small corrections before sending it to my critique group. I like what’s there, but I’m always nervous about middle sections. Guess I’ll find out what they think later this week. I should have broken it into two submissions. I didn’t really plan to get that much new stuff accomplished. My wife visiting out of state was spontaneous, so I made the best of it. Last night I watched a dumpster fire of a ballgame instead of typing away. There’s one on now too, but it looks a bit better. My wife made it back about an hour ago, and it looks like a wrap on my writing weekend. All in all, it was outstanding. It may be a year before I get this kind of opportunity again, so I made the best of it. 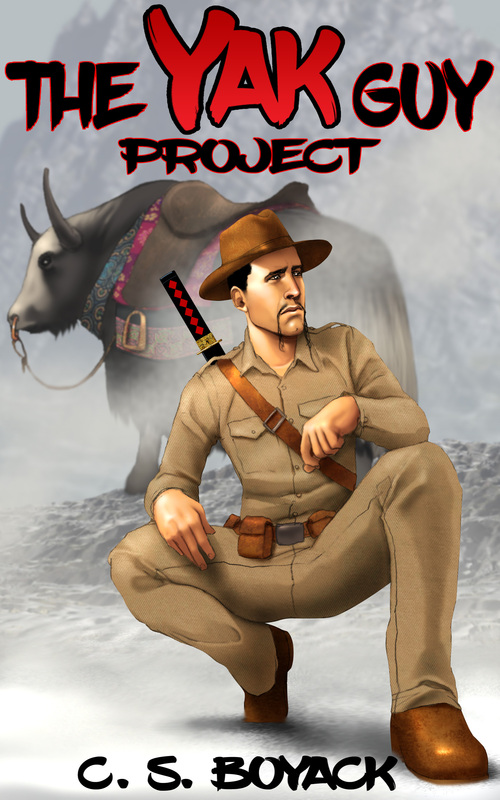 Right now, Serang and her master are camped at the mouth of a canyon and ready to enter the Temple of Wind. It’s probably good to stop here and dwell on it for a week. I need to kind of foreshadow something that is going to happen near the end of the story, and a bit of time might help me do a better job of it. I also need to consider wind, sounds, echoes, temperatures, shadows, and more for the Temple of Wind. Time is my friend now. I really threw myself into writing today. It’s fun when you can see the end in sight, and know everything is coming together. I woke up fairly early, and managed 4600 words before lunchtime. Then I took a break. I’m at 5450 on the day right now, and decided I needed another break. I’m going to see if my game is televised in about an hour, and if it is, I’m likely done. If not, I’ll probably keep going. I don’t get this kind of opportunity every weekend. Serang and her master broke off from the caravan. They avoided a conflict with a huge baboon troop over the water hole, by riding around them. Have you seen the teeth on those guys, and the muscles. A few flintlock muskets wouldn’t be enough to stave off an entire troop of them. Since it’s fantasy, I can ramp up their abilities a little without concern. They spent an extra day at the next waterhole, but the caravan is long gone now. Finally they went looking for an ancient trail that her master said was used by “wild men.” He’s referring to ancient people before civilization took hold. They found bits and pieces of it, and something I never planned for happened. This is called an inukshuk. The trail may be long gone, but the ancient markers are mostly still there. It gave the desert crossing a bit of a treasure hunt feel, and I really like it. I even played with shadows and light to reveal some of them and it turned out cool. I saw inukshuk when I was in arctic Canada many years ago. The Inuit told me people made them because they were lonely, and that way they had a friend. Sounds like BS to me, but that’s what they said. The Basque sheepherders made rock monuments to mark the path they moved the sheep on every summer where I grew up. Eh, I stole a little from both of them. I kept my monuments pretty primitive, and used desert sandstone to make them instead of glacial rubble. Just before this post, they finally spotted the Temple of Wind in the distance. I’m excited for this part too, and don’t have any real plans for what happens as they pass through. I’m excited to see what happens myself. As a storyboarder, my index cards only hit the high points. The Temple of Wind is on an index card, but how I deal with this will be revealed as I write. I should probably keep going, but if the game is on, I’m watching it. We’re dropping the Extra Innings package this year. I watched nearly every game last year, but it’s too damned expensive to keep up with. I’ll catch what few games I can, and check scores in the morning. We’re even talking about going with Hulu and getting rid of the whole satellite system entirely. Maybe there’s something more to the statement about being a starving artist. Sometimes the only entertainment you can afford is your art. I’ve dedicated a lot of time to mine this weekend, and intend to spend more. Hope you’re all having a great weekend whatever you’re doing. Today was supposed to be my last real writing day this weekend. I took it in that spirit, and cranked out 3200 words this morning. I forced myself to stick with Serang, because I want to get through the middle slog. This was with an hour delay to update iOS, and Apple Pages, which is my word processor. Our fictional caravan spotted the bandit’s fire before trouble began. They chose their ground and compelled the bandits to come to them. This led to a big fight, and Serang had to fight with an alternate weapon or two when she lost her staff. Turns out she’s pretty good at combat improv. The caravan leader decided to make a forced march to get out of the bandit territory. All in all, that’s a pretty great writing day for me. Then something miraculous happened. Old What’s Her Face came home from work and announced she is going to Nevada to hang out with her brother for the weekend. Being the dutiful pet father that I am, I volunteered to babysit the dogs and tend the home fires. We played a little ball, I had a sandwich, then we all took a short nap. I got up, and turned my attention to my MS again. Otto, not so much. Daily word count is at 4300 and counting. I need to stop for a while to scrounge something for dinner. I also need to do a bit of research about their next obstacle. So I’ll leave Serang and company at the desert water hole that’s operated under a loose treaty with a killer baboon. He’s not kidding, but if everyone behaves they may not have a problem. There is a real place in Namibia called the Wind Cathedral. You’ll have to Google it, because I can’t find any free use pictures. Basically, I’m going to turn the dial up on this and make it into a desert maze they have to go through. Since there are so many references to temples in this story, I’ll rename it something like the Temple of Wind. This particular water hole is the tipping point of this journey. Serang and her master are going to leave the caravan and set off on their mission alone from here. I have a cool piece of folklore I can’t wait to write, and I’m making the whole thing up. Since I have all night tonight, plus all day and night tomorrow, I may really make some progress on this story. I feel like the toughest part of the middle is behind me now. Who knows, I may actually get to publish this one before school lets out. Cover art has been ordered already. Fellow authors, what if you had to pick? Could you do it? Check out this post over at Story Empire, and leave your choice in the comments.